Adorable, Updated 3 (could be 5) Bedroom Ranch in Normal with Finished Basement! Walk in the front door of 508 Marian to an open floor plan featuring an eat in kitchen with subway tile backsplash and newer countertops, spacious living room, and lots of natural light! Fresh paint throughout the home. 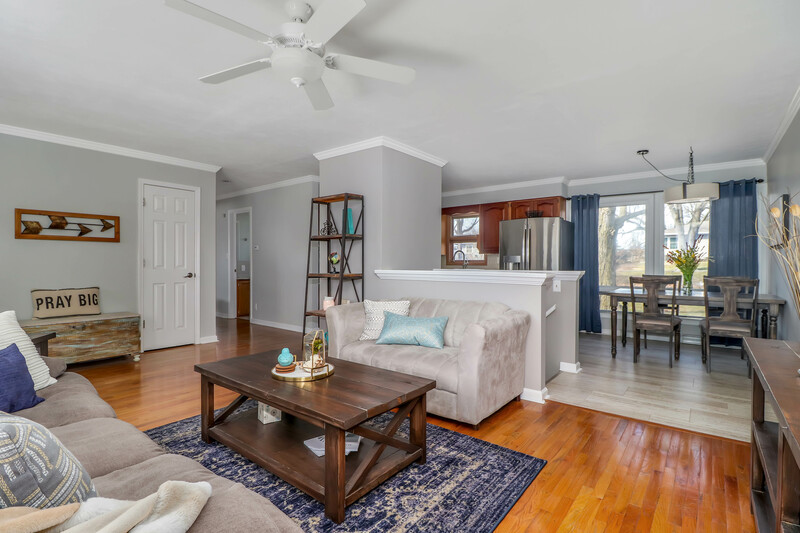 Two bedrooms on first floor – one being a huge master that once was two bedrooms with shiplap wall! (now converted into one, but can be made back into two to have a 4 bedroom house!). Full bathroom on first and lower level. Finished basement also offers the third bedroom with brand new egress window (another in storage room which could be 5th bed), laundry room with new flooring, and second family room with built-in entertainment shelving. 18 lilac bushes along the backyard and Redbud tree in front make for beautiful views in the Spring!